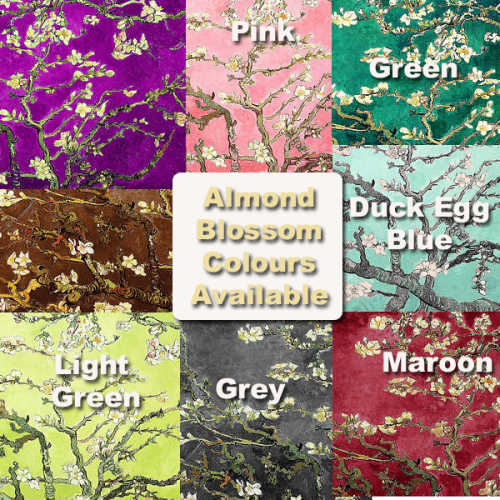 Almond Trees by the Dutch painter Vincent van Gogh available in a variety of colours for you to enjoy. Nobody caught almond trees or blossom in quite the way van Gogh did. He was happy during this time and relished his development of the paintings that was in great demand at this time, putting him under great pressure, that he often felt burdoned with, yet not during this time, as he found it so refreshing, inspiring and satisfying. We can see this reflected in these wonderful paintings.